This morning we woke up not so bright but early at 5:30 AM. We spent last night on the balcony/deck of the Puhoi sports club building (thanks to a nice tip from a local) so without tents to take down, we made it easily to Cody’s place by 6:00 AM, the time we had arranged that would put us on the river with an outgoing tide. 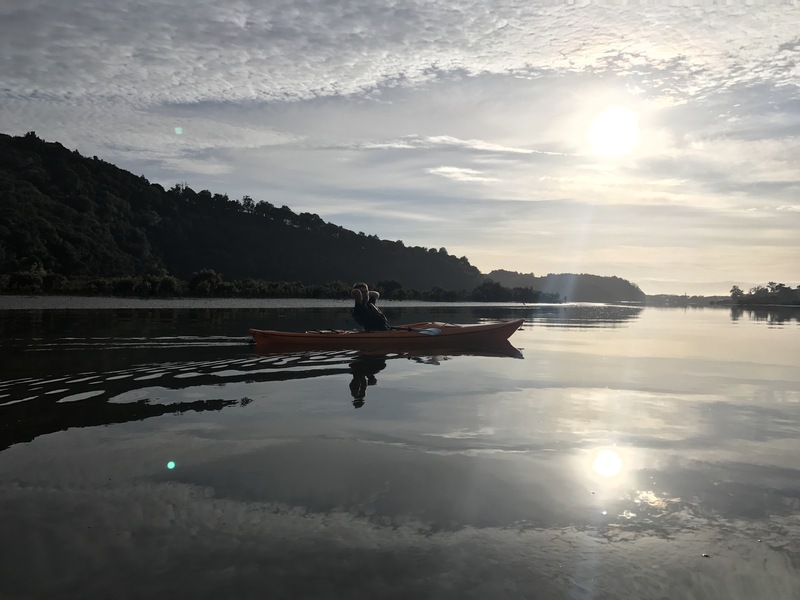 When we met Cody he had not only four solo Kayaks for us to paddle down the Puhoi River, but also hot coffee, tea, and some breakfast bars. We hopped in the boats and were paddling down the winding and widening Puhoi by 6:30 AM. 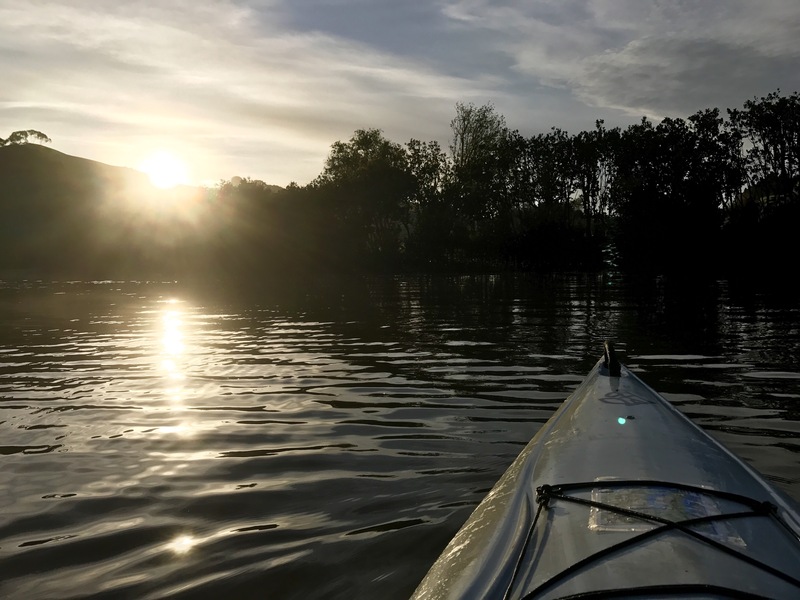 By 7:00, the tidal river had opened up a bit and we were having a great time working our way down a beautiful stretch of water. Soon, after a quick but excellent several kilometers we reached Wenderholm Regional Park, the landing where we’d be loading our Kayaks on to Cody’s truck, 7 km south of where we had put in for the day. 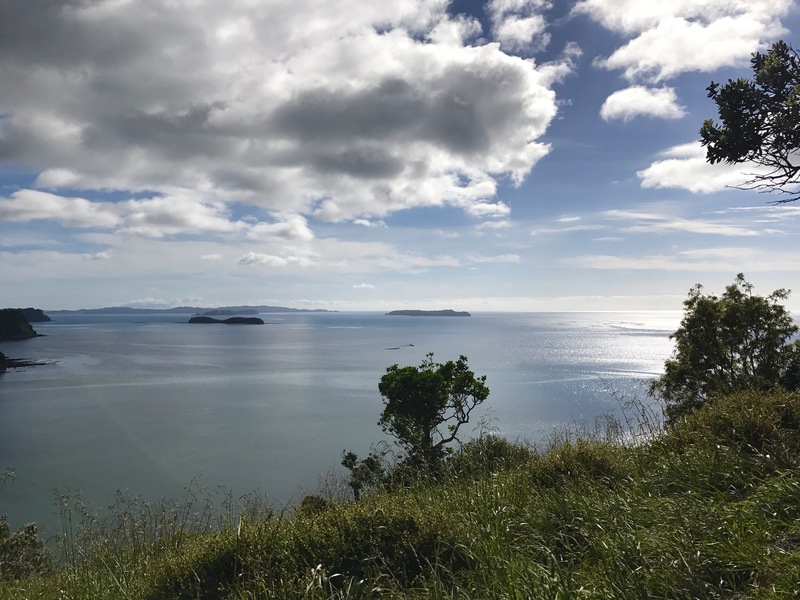 From there, we headed up a well-traveled path to a quick 156 meter summit, before descending toward the small town of Waiwera, where we stopped for some small snacks to tide us over until lunch in Silverdale. From Waiwera we headed to the shoreline, where we rock hopped over a few km. 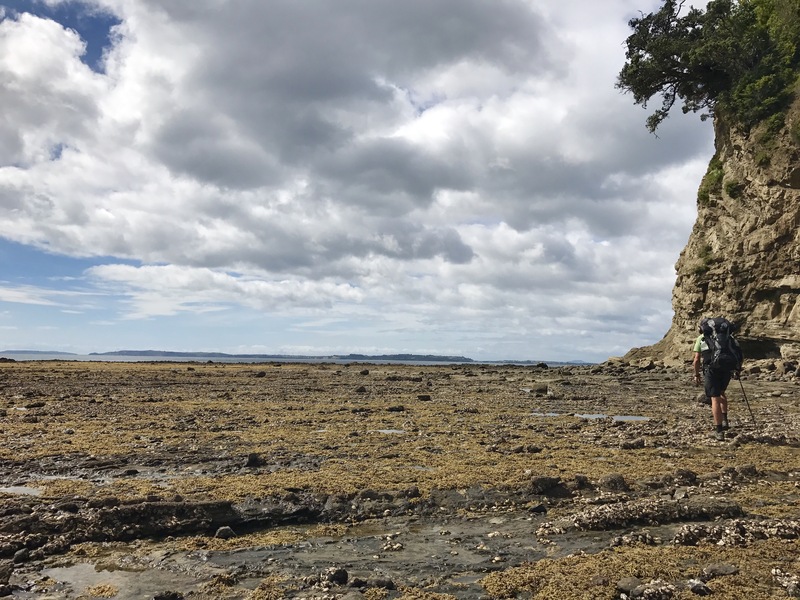 Thanks to the low tide our early morning earned us, the walking was very good and we made it to the much larger town of Orewa quite quickly. 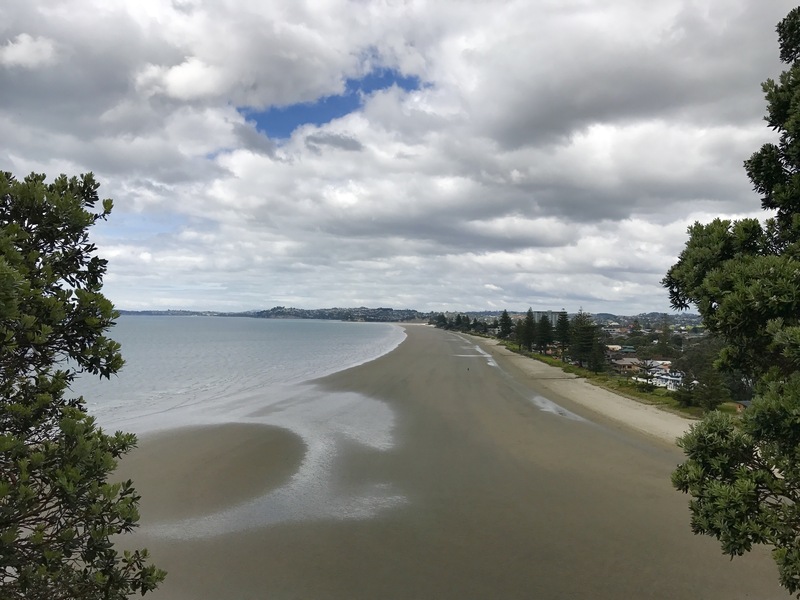 We walked the 3 km of beach in Orewa in about a half hour, stopping at the end to grab a bar that would last us until the Silverdale Pak n Save. “Good on you!” The boy yelled back. “How far have you gone so far?” One girl yelled. I think we were all a bit surprised at how empowering it was to get cheered on by a bunch of kids. We carried the energy all the way to the Pak n Save, glowing with pride the whole walk. What a gift that Te Araroa passes through that schoolyard, the place where for the first time we all heard, “You can do it!” We will certainly do our best. After a meal of 50-cent Avocados and Weet-Bix (Kiwis’ favorite flavorless dry-your-mouth-out breakfast cereal), we walked a few K of highway into Stillwater’s first residential area, and eventually made it through to the quiet blue-water coves of Stillwater. Peter and Maxine at Stillwater Motor Home Park welcome walkers to camp for free, with access to hot showers, a kitchen, and a large room with mattresses and couches. Serious trail magic. Going to sleep well tonight, and wake up on the later side tomorrow to catch low tide in the mid-morning. Another great day on the trail. Just a short note about Weekbix. They’re exactly as you describe, and eating them dry is actually a bit of a competition (usually preceeded by generous consumption of alcohol). To enjoy them you should cover them in milk, let them swell as they soak it up, and add a bit of sugar or other sweetness to make them more appetising. Awesome advice. Not sure we’ll be buying weetbix again for a while, not as long as we have some less dry options.